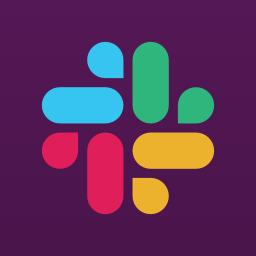 Slack’s built-in screen sharing functionality lets people solve their problems together, with shared drawing tools as well as the ability for each participant to operate their own mouse on a host’s shared screen. 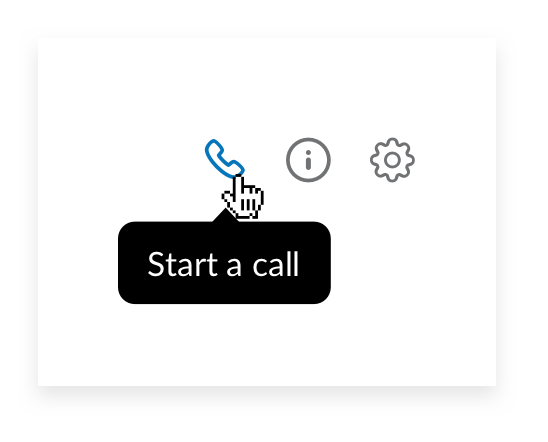 Once connected on a call, hit the Share screen button. This also activates screen drawing, where participants can draw on the screen, in case you want to circle an area of the screen to highlight it or want to sketch out a new idea. 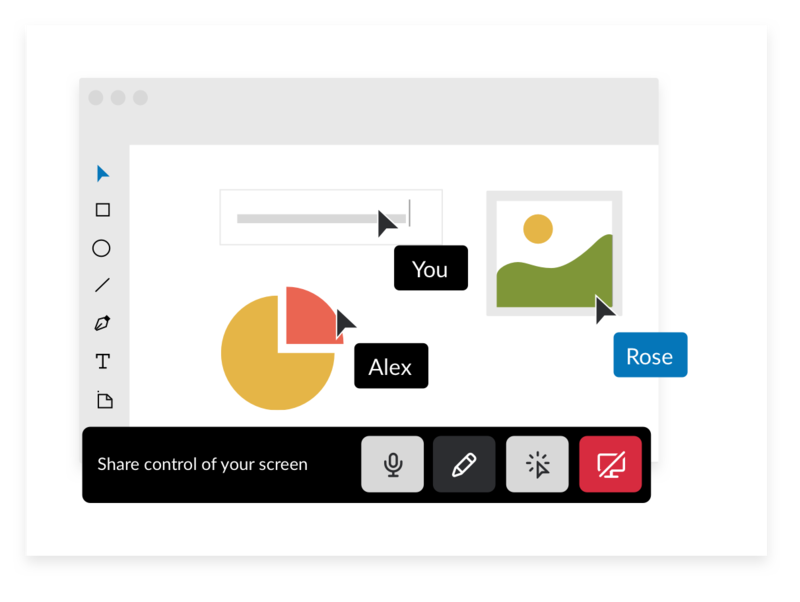 If you hit the mouse pointer button, you’ll enable interactive screensharing, where participants can use their own mouse to manipulate onscreen content and apps together. You can work on documents, images, or code together, each typing on the screen or using menus and options in applications. You can always switch back to drawing by hitting the pencil icon during screen sharing.